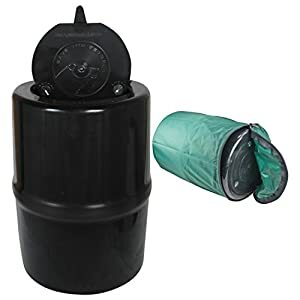 9 Best Bear Canister Reviews: Comparison & List in 2019! The quantity of bear attacks increases every year. The reasons for this are habitat destruction, an increase of the number of tourists and their non-observance of the basic rules of security. Some tourists store food directly in the camp. The smell of food attracts bears, and their visits may have unpredictable consequences. The container is made of durable material. The bear could not break or open it because it is made of enough solid plastic. Most models are equipped with a special valve that retains the odor. The cans are necessary in some national parks. Here is the list of accepted bear canister. In addition, each national park has its own list of approved containers. Also, the canisters should be certified in the IGBC (Interagency Grizzly Bear Committee). You should be acquainted with the latest list of certified products, including bear containers. 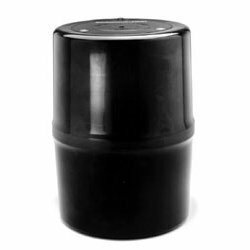 This model is one of the most popular canisters. Easy to use, equipped with guidelines for fastening to the backpack. In addition, users note the good capacity of the container and convenient access – a wide mouth does not interfere with getting and taking out food and other things. Transparency provides a simple identification of the contents. This model is made of durable transparent polycarbonate. Despite the small thickness, the canister walls withstand the strongest impacts and pressure. The canister opens without tools, but beginners can have some problems with this at first, as with any other bear containers. There is advice for them: try to slide a blade of knife under the catch. It makes releasing much easier. Also, try to keep lid clear, do not toss it to the dirt, and wipe the treads. This canister has the optimal volume of 700 cubic inches. Capacities of a canister will be sufficed to you for 7 days. Reduced modification of the popular bear canister. It will suit those who go into the wild for a couple of days and do not want to wear weights in a backpack. The canister has the same shape as the Bear Vault BV500, it also has guides for carrying on the backpack. Transparent walls will not prevent you from finding immediately what you need. The lid opens just like the Bear Vault BV500 and is enough reliable. This can has only 440 cubic inches It is enough for 4 days.. If you are a beginner, I advise you to watch a video about how to pack a can. Backpackers Cache is developed by real experts and tested on real experiments with grizzlies. This is one of the most reliable cans on the market. 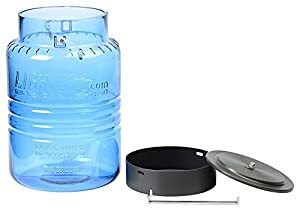 The bear canister is made of durable thick plastic and can withstand the weight of an adult male, so it is quite suitable as a chair or a table for cooking in the camp. 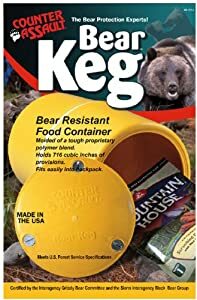 Durable plastic provides real protection for your food: some Bear Vault models were found destroying bears, while on the Backpackers Cache Bear Resistant Container they left only deep scratches. The food was preserved. This is also promoted by rounded edges – it is more difficult for bear to grasp and crack the container in them. The lid is opened and closed using tools – a coin or a knife. Some tourists may not like it, but think about who goes into nature without a knife? Even experienced raccoons can not open such a valid construction. That means quite a bit! 614 cubic inches. Capacities of a canister will suffice you for 6 days. The original canister cap device allows you to use it for cooking – like a pan. 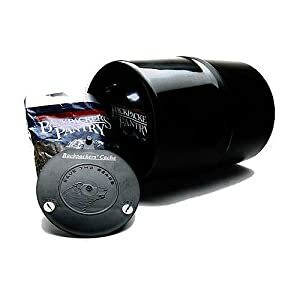 This reduces the amount of things that need to be taken in the backcountry and makes the storage of all food and kitchen utensils at one point. The capacity of the frying pan makes it possible to prepare 2.5 Mountain House meals. Users note that the frying pan heats up quickly, but does not have a non-stick coating. In any case, it’s a cool idea – to combine a frying pan and a canister. 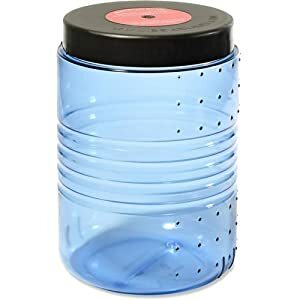 I hope that the manufacturer will add non-stick coating to the following canister models. The can is made of strong polycarbonate. It is distinguished by its high strength and lightness. Transparency allows you to find the right thing quickly without getting everything. Lighter1 is durable and allows you to use it as a chair. A person weighing 200 pounds can sit on it without any risks. In this video, you can see the strength test of Lighter1 in the wild. The canister is locked with a special stop valve. It is bolted, which can not unscrew the bear. The reinforcement also adds strength to the canister. Note! The lid is not sealed! It contains 300 cubic inches. Capacity of the canister is enough for 4 days. Lighter1 Big Daddy – modification of Lighter1 Lil. The canister allows you to take more food with you and has the same advantages as a smaller model. The canister is locked as well as the previous model. Covers are interchangeable. This container has an optimal volume of 650 cubic inches. Capacities of a canister will suffice you for 7 days. Bear Keg is one of the largest and heaviest bear containers. It is made of durable patented plastic. Its yellow color helps to find it – this color is clearly visible on a green, gray or brown background. A reflective strip in the middle will help you find it at night. 3 lbs 5oz. The container is not the easiest, but your food and other items will be reliably protected from all animals. The Bear Keg is approved by the SIBBG (Sierra interagency black bear Group) and IGBC (Interagency Grizzly Bear Committee). Allowed for applying in all national parks. The canister is reliable. This confirms the successful passing of testing in the Grizzly & Wolf Discovery Center in West Yellowstone. In addition to dimensions, Bear Keg has one important difference from most analogues. It is locked with 3 screws, unlike the others, which are locked with 2 screws. This increases the reliability of the canister. The canister is opened with a coin or a knife. Some people do not like that a canister needs to be opened with a tool, but everybody take the knife into the wild. The most important thing is that bears will not have time to defeat the lock while you are in the wild, which often happens with the cans that open by the hands. It is not waterproof. 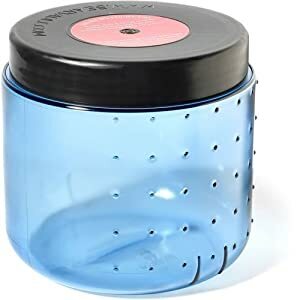 To protect the food, the canister should be placed downward. This can has perfect volume of 716 cubic inches. Capacities of a canister will suffice you for 8 days. NO-FED-BEAR Bear Resistant Canister is a reliable and durable container for food. The reverse side of strength and reliability is the relatively large weight of the canister (2 lbs 4oz.) But this is not a problem for most backpackers. 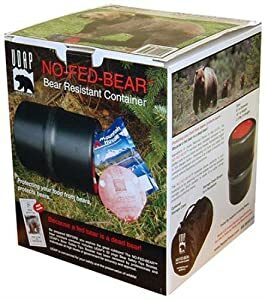 NO-FED-BEAR Bear Resistant Canister is locked with help of two screws. To open and close this model of canister you need a tool – a coin or a knife. The lid is closed tightly, but not sealed, so I can advise you not to put a canister near the water. The bear will not open it, but can push it into the water. The canister could float away, and its contents get wet. The volume of this item is 500 cubic inches. Capacity of the canister is enough for 4 days. This sturdy container is designed for hiking in the wild. It will protect your food and will enable you to enjoy nature and avoid unplanned meetings with wild animals. The container is made of durable thick plastic. The corners of the canister are rounded to prevent the bear from catching on to them and breaking the container. The canister can be used in the camp as a chair. It has a black color, so if you want to find a canister at night, I advise you to wrap it with a light-reflecting tape in the middle. The container weighs 2 lbs 12oz. 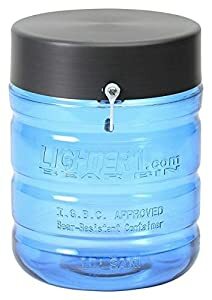 this is not the lightest bear canister, but safety is more important. Bear proof / Resistant Food Container / Canister The Backpacker’s Cache as well as the previous canisters is locked with two screws. To open the lid, you need tools such as knife or coin. Bears can not open such a lid. If they find a canister, they will play with it, and then leave. The worst that can happen is that the canister would be scratched. It has 614 cubic inches. Capacities of a canister will suffice you for 5 days. A popular bear container can now be bought complete with a carrying case. The cover has a handle, 4 loops and belts for fastening to the backpack. Now it is even more convenient to go camping with it. The container is made of durable thick plastic, able to withstand the beats of a bear. The corners of the canister are rounded to prevent the bear from catching on to them and breaking the container. The canister can be used as a camp chair. It has black color, so, to find a canister at night, wrap it with a special light-reflecting tape in the middle. The container weighs 2 lbs 12oz. Backpackers Cache Bear Resistant Food Container is locked with two screws as well as the previous canisters. To open the lid, you have to get knife or coin. Bears can not open such a lid. If they find a canister, they will play with it, and then leave. The only unpleasant thing that can happen is that the canister would be scratched with bear claws. This can has volume of 614 cubic inches. Capacities of a canister will suffice you for 5 days. I hope this review will help you to realize all pros and cons about the bear containers. Now you can choose the most suitable canister for you and go on a trip being sure there will be no unpleasant surprises. Which container is best for you – transparent or not, closing with hands or with instruments, you should choose, depending on your preferences. But all cans are allowed to be used in national parks and passed tests. Do not put cans near water or on a slope. It will be a great success if you will find it in the morning. Do not forget that you are only guests in the wild. Behave accordingly.